Supply chain optimization has become a huge market differentiator in the omni-channel world. However, Amazon’s innovation around the supply chain has raised consumer expectations, putting pressure on all other eCommerce players. 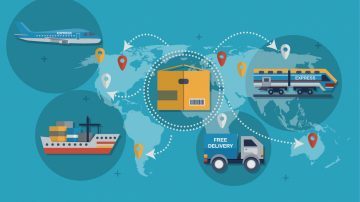 The reality that supply chain managers must deal with is simple — connected customers demand the ability to order from anywhere, fulfill from anywhere, and return to anywhere. To meet these demands, supply chain managers can’t persist with existing processes and technology. If you want to achieve profitable supply chain execution, you have to take the necessary steps toward building a cloud-ready supply chain. Batch orders have been the predominant method of eCommerce order fulfillment in recent years. Because batch orders focus on formulaic products, businesses have been able to take advantage of automation by accumulating eCommerce orders in bulk and fulfilling them intermittently. Batching is an efficient means of operating an automated warehouse, but this strategy is no longer viable in the wake of consumer demand for minimal shipping times. The need to turn orders around in real time brings batching warehouses closer to inefficiency as the risk for lulls in order volume increases. These inefficiencies are amplified by the paper-based models that often support batching warehouses. These challenges are driving companies to focus on optimizing supply chain cost and profit to become more event- and customer-driven. Achieving this new mindset requires supply chains become cloud-ready — a task that might seem easier said than done for some companies. There are 5 key steps to building a cloud-ready supply chain, but taking the first step will make the difference between struggling to keep up with the eCommerce reality and becoming an eCommerce power. The first step is to provide a holistic and unified view of costs and activities with cloud-ready interoperability for each inventory and fulfillment stream. Once you enable connectivity across customers, shipments, order rates and costs, as well as web-enabled access/interoperability to all supply-chain software and partners, you can start to become more event-driven. Today’s supply chain leaders are focusing on customer optimization capabilities through cloud-based applications and processes that can be integrated to enable dynamic event-processing. For example, top performers are investing in integrated warehousing, transportation systems, and workforce/workflow optimization capabilities to run their supply chains profitably.